Are you ready? Lights low, let’s go. Set to candlelight, fueled by epic beats and inspirational instructors our classes will leave you with that natural high. At SpinHouse we unplug from life and into one another. We climb, we burn, we dance. Together we are stronger, faster, better. Our studio balances beauty and function with fully stocked change rooms, lockers, stretch zone and a juice bar for a post-grind cold-pressed juice or fresh smoothie. Everything to make it easier for you to sweat harder and feel better. 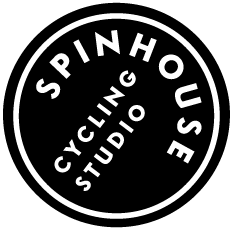 SpinHouse Studio is available for private rides and events (birthday parties, bachelorette parties, charity events or corporate rides). Pick your instructor, pick your playlist, pick your theme and LET’S PARTY! To book please email us at hello@spinhouse.ca.